WHAT A LOVELY FRESH LOOKING CASUAL BLUE AND WHITE STRIPE TOP. COLOR – BLUE WHITE MIX. MACHINE WASHABLE. MAKE –M&S COLLECTION. NECKLACE IS FOR DISPLAY ONLY - SORRY. BUST UN-STRETCHED – 36” APPROX SLIGHTLY STRETCHED UP 40” APPROX. White Stuff Ladies Bottle Green Linen Top Size 6 In Great Condition. Measures from armpit to armpit 17.5inches across and 22inches long. Please check the measurements before bidding. Selling for a family member. Any questions please ask. Will be sent UK record post only. Please pay by PayPal within 2days after the auction has finished. Thanks for looking, check out my other items selling. This item is a Primark lady’sN av y st ri pe dshirt fo r Si ze s 4. This lovely ladies white shirt is made from 100% linen. It has a grandad style collar and fastens with buttons up the front hidden behind the front panel. It has bell sleeves and is a size 12 petite. NWT Miss Selfridge Ivory/Lace high neck top/blouse Size 12 P Look!! NWT Miss Selfridge Ivory/Lace high neck top/blouse Size 12 P, 36" bust, lined, poly/lovely cotton lace. 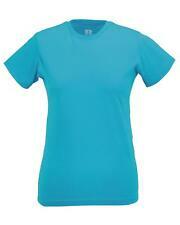 An attractive pink short sleeve T shirt by Great Plains for ladies ,size S, made from 100% cotton and machine washable . It has a V neck and measurements are: length 54 cm or 21 1/2 inches, armpit to armpit 38 cm or 15 inches . It has had little wear and is in excellent condition and comes from a pet and smoke free home. GRANDAD COLLAR WITH 5-BUTTON PLACKET. SILK-FEEL FRILL TRIM AND FRONT DETAIL IN GREY. UK 10/ EUR 38/ USA 6/ JAPAN 11. BUTTON-UP CAP SLEEVES. 2.5" SLEEVES(FROM UNDER ARM, TO END OF CUFF). New listingWomen/Ladies Boden Linen Shirt Blue Stripe Long Sleeve Shirt Size 12 Petite. Sleeve from arm pit to cuff 17". Width from arm pit to pit 20". Base of hem down to hem 25.5". Navy & White Striped Boobtube Top Size 12. Condition is Used. Dispatched with Royal Mail 2nd Class. T.M. LEWIN LADIES CLASSIC BLOUSE - SIZE UK6 PINK FLORAL WITH D/CUFFS IMMAC. T.M. LEWIN LADIES CLASSIC BLOUSE. DOUBLE CUFFS FOR CUFF LINKS. BRIGHT PINK FLORAL DESIGN. 100% COTTON. in taupe colour. txzj pxzj6191 txzj-11 txzj34 txzj66 txzj115. This is a Debenhams Petite Collection cotton top in a sweatshirt type material with a dark coral and cream floral pattern. This has never been worn but it has been put away for a while and so is in great condition. TWIN TIPPED COLLAR & CUFFS IN MAROON. UK 8/ EUR 36/ USA 6/ JAPAN 9 21" IN LENGTH. 16" FROM ARMPIT TO ARMPIT. STYLE NUMBER: G9762/314/2390/281. M&S PETITE. 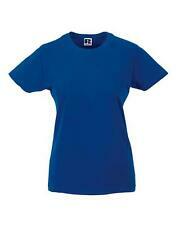 Ladies Linen Blend Top. Size 18. BNWT. M&S COLLECTION. Lovely browns & ivory linen blend striped short sleeved top, with a back zip fastening. They are in black and white and they are boyfriend style with a crew neckline and short sleeves with a roll turn back edge. A LADIES LONG SLEEVE STRIPED TOP FROM BODEN FOR SALE. 10% of sale I will donate to the outstanding Marie Curie Cancer Care fund. Size ~ UK 6. Small side splits on each side bottom. Sleeve length ~ 23" / 59 cm's. Dorothy Perkins BNWT White/ivory Lacy Crochet style T Shirt Short-Sleeved Top. Cut out holes. Size 10 Petite 95% cotton, 5% elastane. Machine washable. Condition is new. Dispatched with Royal Mail 2nd Class. Comes from a smoke and pet free home. NEW LOOK SHIRT STYLE BLOUSE, SIZE 6. FINE STRIPED. G.C. NEW LOOK SHIRT STYLE BLOUSE, SIZE 6. SLEEVES, ROLL BACK OR LONG. WHITE AND BLUE FINE STRIPE. CHEST POCKET. BUTTON FASTENING. TWIN TIPPED COLLAR & CUFFS IN BLACK. 18" FROM ARMPIT TO ARMPIT(WILL STRETCH TO 20"). UK 14/ EUR 42/ USA 10/ JAPAN 15 28" IN LENGTH. Women/Ladies Boden Linen Shirt Blue Stripe Long Sleeve Shirt Size 12 Petite.